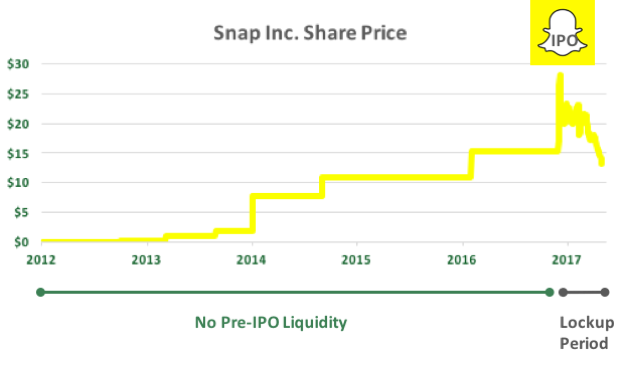 When Snap Inc. (SNAP) went public in March 2017, the company was valued at over $23B, or $17 per share. While early shareholders watched the stock price quickly rise to a high of $29, they were unable to realize these gains until the IPO Lockup Period expired. For most, those gains slipped away due to poor earnings and increased competition, which caused SNAP to slide below $14 over the course of the 180-day lockup.